2017: Sahar Amarir (GSAS), Stephane Genot (HKS), Chrystel Oloukoi (GSAS), Niels Emil Planel (HKS). The Harvard French Scholarship Fund was created in 1987 by Douglas CARVER (COLL’59), former president of the Harvard Club of France. Its goal is to provide financial aid through grants and loans to gifted French students enrolled at Harvard University. 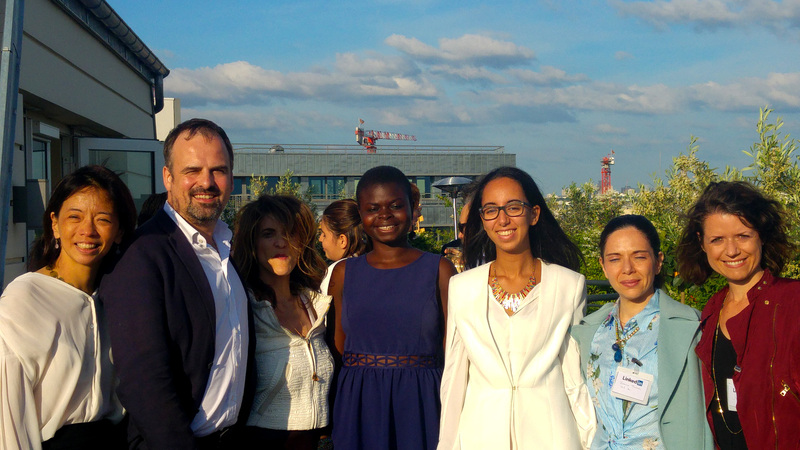 In the past 30 years the Fund has supported more than 160 students and has formed an incredibly diverse and talented community of scholars and professionals who work and live in France and abroad. The Fund is unique because it is an independent alumni-funded program under the aegis of the Harvard Club of France, the local Harvard Law School Association and Harvard Business Club. The Fund autonomously undertakes fundraising activities, conducts the interviews, selects the successful laureates, and stays touch with beneficiaries throughout their time at Harvard and in the years thereafter.